Crystal skies, frosty winds coursing the rows of dormant grape vines anchored on slopes of the Virginia piedmont….feeling the snowy terroir under hoof… it was a beautiful day. 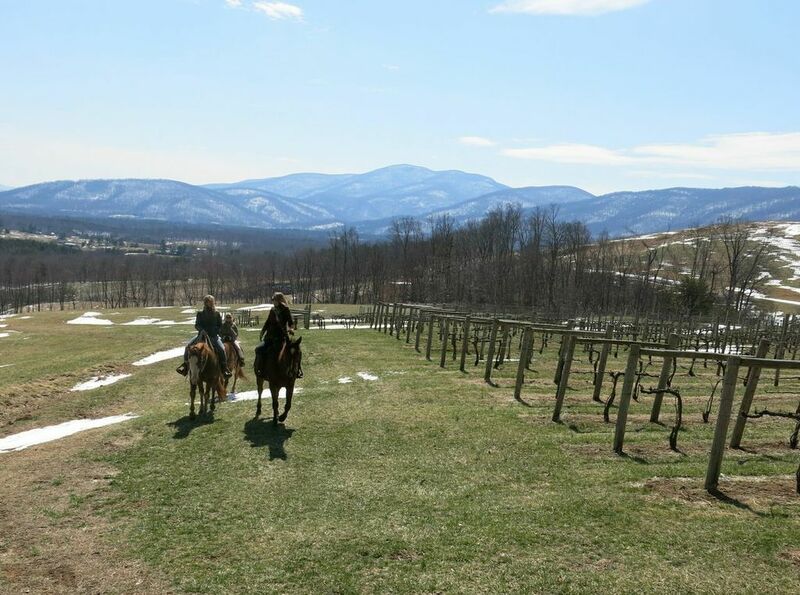 Whether you’re a horse lover, wine lover or outdoor enthusiast, a ride on horseback through the Virginia vineyards appeals to the romantic in all of us. Don’t believe me? 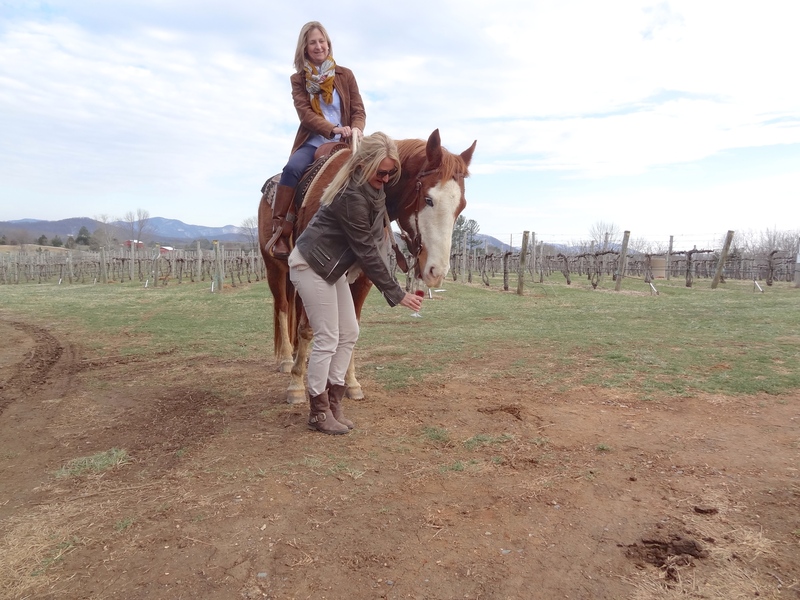 Gentleman, ask your spouse or girlfriend if she would like to venture out on horseback, escorted by a professional guide and finish at the tasting room of one of three spectacular award winning wineries. Ladies, ask your husbands, boyfriends, girlfriends or bridesmaids if they would enjoy a private tour like I just described….exactly! Which is the same reason that I arranged for my sister ( fellow oenophile-fancy name for wino) and I to do just that! Veritas, King Family, Pollak Vineyards and Glass House Winery all snuggle up to the backdrop of the Blue Ridge Mountains with views that arguably beat Napa Valley hands down. All three wineries have joined with local cowboy, Ashton Beebe and his Indian Summer Guide Service, to provide a sensory experience that shouldn’t be missed. If you have any apprehensions about riding, no worries here, these horses are accustomed to the terrain and easy as can be with any novice rider. We selected Veritas Winery for our tour and would have gladly hit all three if time had allowed. Two Socks, Beau and Murphy (Quarter Horse Pintos) were brushed down and ready for our ride. Ashton had requested the lovely Chloe Hodson, Manager of the Farmhouse and Retreat at Veritas, to join us for an education about the grape varieties, the terroir and the history of Veritas. We mounted and set off towards the slopes above Veritas casually chatting, getting accustomed to the gait of the horses. In a matter of moments, we had established a connection-multiple connections-between the four of us. Chloe immediately tripped to the fact that her boyfriend, Elliott Watkins, assistant winemaker to sister Emily Pelton and originally from the U.K. , graduated from Plumpton College in England, for wine making, the same school that my sister is attending for her WSET. I knew Ashton’s family from years before where we attended church together. Small world! 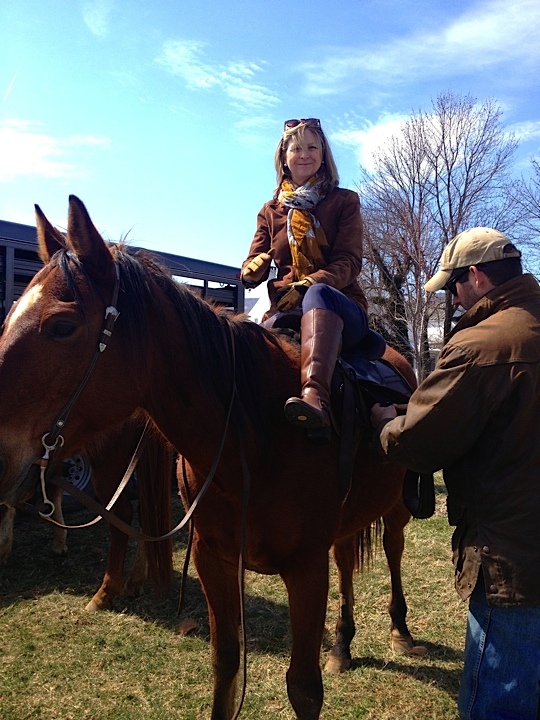 The ride was comfortable, horses snorting in conversation with each other, and we continued to ascend the slopes. 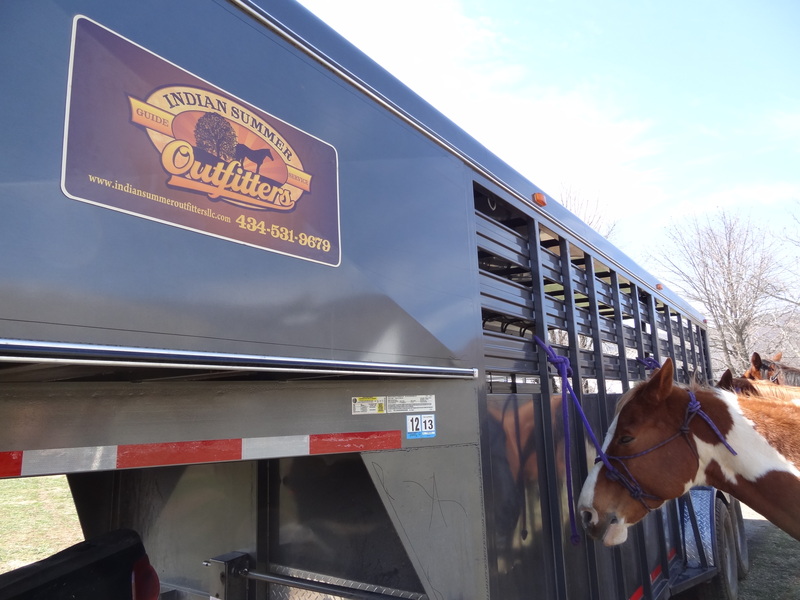 Should you have any reservations about riding, Ashton will put you at ease and the horses follow each other, easily used to mountain trail rides. I wanted to take pictures with my camera, no easy task when you’re trying to relax and just take in the moment; but Ashton was riding, reigning single handedly and snapping pictures with his own camera. 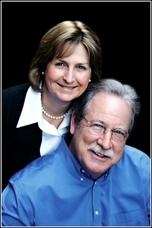 A nice surprise and we lapsed into just savouring the experience. At the highest elevation on our ride, Chloe pointed out a slope where future vines would be planted and quite possibly be tended on horseback due to the steepness. It was at this point that I felt like I was in Montana, in another era, bygone days and away from the hustle of business, cars and crowds. 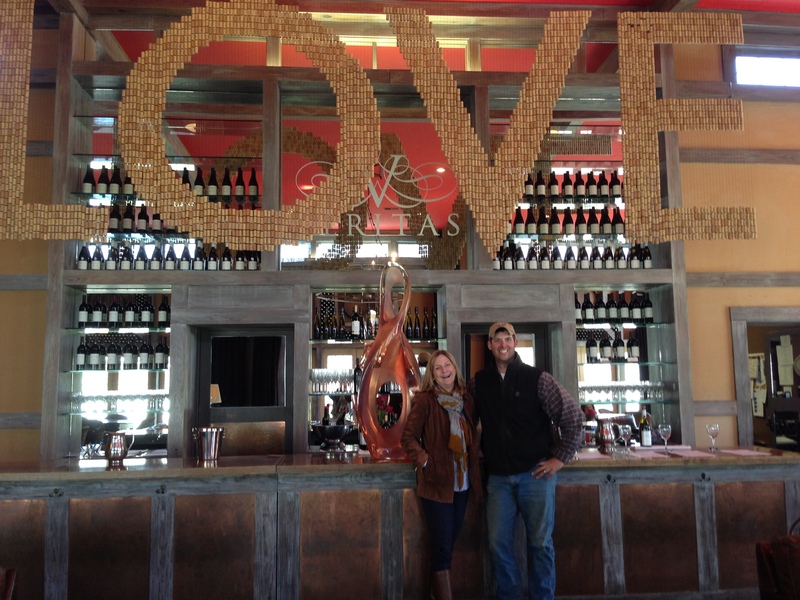 Following our ride, we entered the tasting room with it’s soaring ceilings and the “cork LOVE” display playing off the slogan Virginia is for (wine) Lovers. 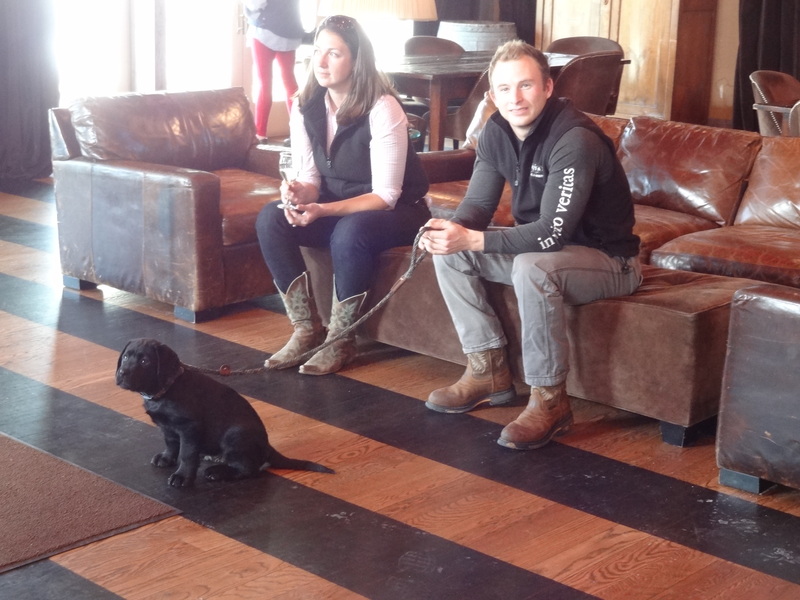 Chloe and Elliott walked us through the extensive line up of wines produced at Veritas. Two wines of special note were first, Elliott’s baby, a 2013 Rosé, which my sister is taking back to Plumpton College to brag on his winemaking skills. It was fun sampling wine with Ashton and getting the guided tour of the cellar and doing some barrel tastings. The other was the Kenmar, made with Traminette grapes ( a hybrid of Gewurtztraminer and Joannes –Seyve (JS) from Cornell. Emily’s Veritas 2005 Kenmar brought national attention to this young female winemaker as the winner of the Judge’s Choice Competition at the 2007 National Women’s Wine Competition in California. Chloe explained the history of this wine, named in remembrance of her grandparents, Kenneth and Marjorie who passed away during 2001, the year of their first vintage. Her grandmother enjoyed sweet wines and asked that one be made to her taste, thus the Kenmar was born. As Chloe shared the sweet story about her grandmother, we couldn’t help but get teary eyed along with her. My favorite wine was the Harlequin Reserve Chardonnay 2012, a little oaky, buttery and served later at home with our favorite cedar planked Alaskan salmon. 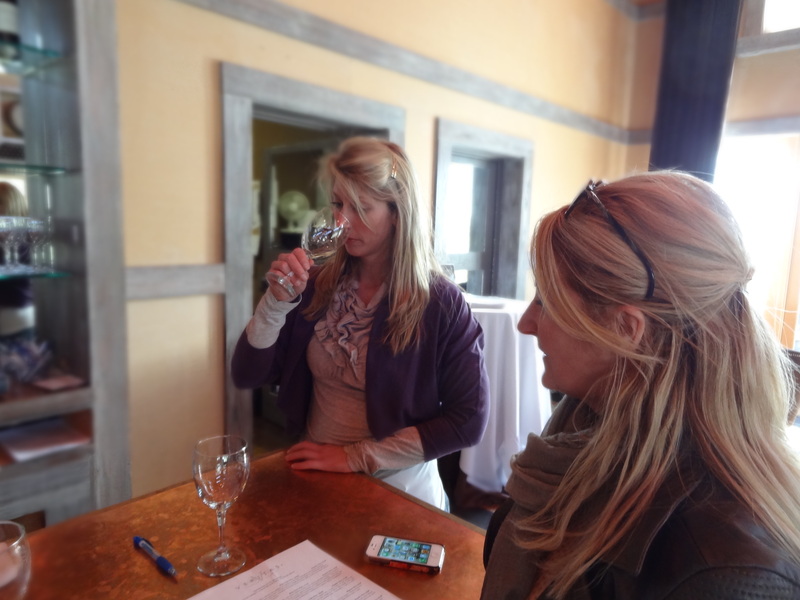 I admit that I do like creamy chardonnays…what’s wrong with that? 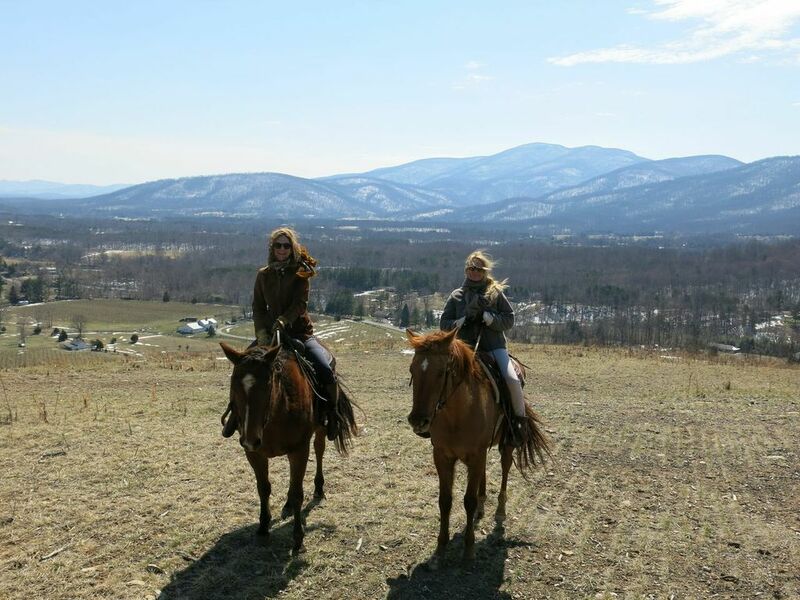 If you want to create the ultimate package, horse back rides, massages courtesy of Blue Ridge Massage Therapy , yoga, cooking classes, spa treatments and staying at the Farmhouse call 540-456-8100 for rates and reservations. Chloe is hands on in this area and can coordinate your visit with various pampering and adventures for your indulgences. No, You Can’t Do This!